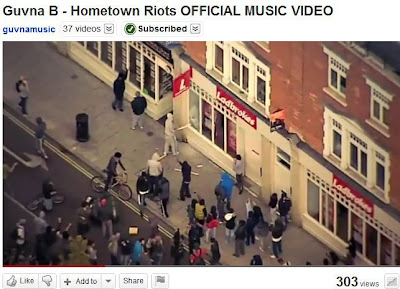 Google search U.K. riots 2011 and see for yourself what the devil is inspiring kids my age and probably yours to do. Like Guvna B says in his song and music video, he now sees that the heart of man is wicked and very corrupt. I see that too. My heart is too. Only by God's grace can I afford to love any man or woman. #Grace. Guvna B's new song "Hometown Riots" and the official music video is one to add to your collection music wise and one to have in mind. Humanity grieves me. Humanity without God saddens me. I only pray that God uses me more to spread the gospel that changes hearts of stone back to flesh. Amen.